When I was studying for my sommelier exam a few years ago, my husband (boyfriend at the time) brought me a bottle of his favorite wine: MacMurray Estate Vineyards Pinot Noir. Back to the wine: my husband used to work at an Italian restaurant and often got to sample wines as they were added to the menu. At the time, MacMurray Ranch (as they called it) was newcomer to the wine industry, but Matt thought this pinot noir was something special. Fortunately, so did a lot of other people, as today it is pretty easy to find. Not only is it widely distributed, the Central Coast bottle is inexpensive — we can usually find it for around $13 at the local grocery store. But don’t let the price fool you—this is a quality wine! I like it better even than some for which I’ve paid significantly more. This is one of the richer pinots I’ve had: full of fruit, notably black cherry, raspberry, plum, strawberry, and blackberry. A touch of oak adds a spiciness not often found in pinot noir—it reminds me a little of a syrah in that sense. In very basic terms: this is fruity, yet complex wine bursting with flavor. It is smooth and well-rounded, easy to drink, yet interesting enough to please sophisticated palates as well. This is our go-to red wine at the Rodriguez house. Every time I open a bottle I am surprised by how much I like this wine and just how good it really is. 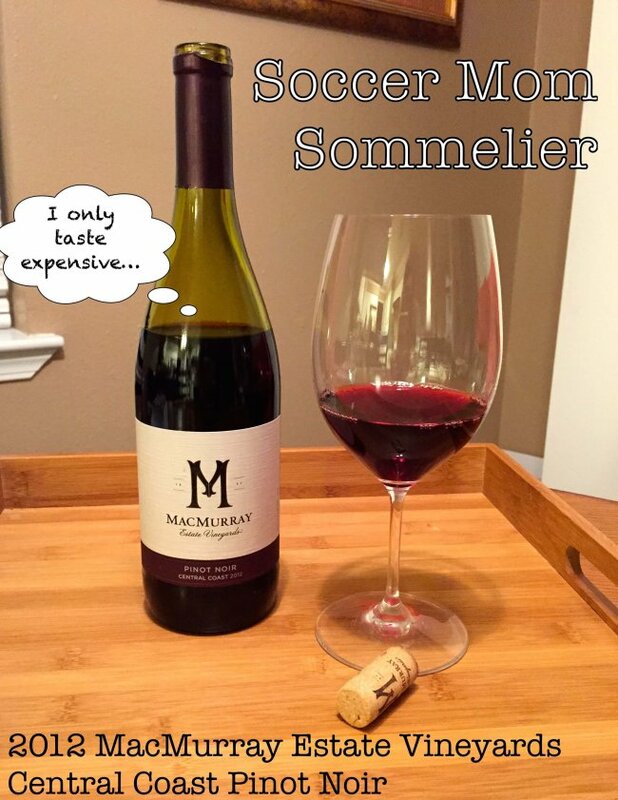 It tastes like a splurge bottle, but you can fit it on a soccer mom’s budget. What’s more to love?